SARA EVANS - Born To Fly HDCD CD 2000 RCA / BMG AS NEW! Here is a nigh perfect copy of her 2000 release. TY ENGLAND - Two Ways To Fall HDCD CD 1996 RCA / BMG AS NEW! Here is a nigh perfect copy of his 1996 release. The disc is in stunning condition and looks super clean and perfectly handled! This is a truly great copy of a well looked after release! MARTINA McBRIDE - Wild Angels CD 1995 BMG AS NEW! Here is a nigh perfect copy of her 1995 release. The disc is in stunning condition and looks super clean and perfectly handled! This is a truly great copy of a well looked after release! KEITH GATTIS - S/T CD 1996 RCA / BMG AS NEW! Self Titled. Here is a nigh perfect copy of his 1996 self-titled release. TY ENGLAND - S/T CD 1995 RCA / BMG AS NEW! Self Titled. Here is a nigh perfect copy of his 1995 self-titled release. Artist: Alabama. Format: CD. Title: In Pictures. In Pictures. Condition: New. Spin the Wheel. I've Loved a Lot More Than I've Hurt. My Love Belongs to You. TURNER / NICHOLS - Self Titled S/T CD 1993 BMG Music AS NEW! Here is a nigh perfect copy of their 1993 release. The disc is in stunning condition and looks super clean and perfectly handled! This is a truly great copy of a well looked after release! WE HAVE THOUSANDS MORE CDS, DVD'S, T SHIRTS ETC TO LIST. Be sure to add us to your Favourites List. BRAD PAISLEY - 5th Gear CD 2007 Arista / BMG AS NEW! Here is a nigh perfect copy of his 2007 release. DALE DANIEL - Luck Of Our Own CD 1994 BNA / BMG AS NEW! Here is a nigh perfect copy of her 1994 release. CDS & ALL ARTWORK SENT WITH JEWEL CASES :-. CDS SENT WITH ALL ARTWORK (INCLUDING DIGI-PAKS) BUT NOT JEWEL CASES. UNITED KINGDOM. £2.50 FOR THE FIRST CD. £3.20 FOR THE FIRST CD. An Evening Prayer. Have Thine Own Way Lord. How Long Has It Been. Id Rather Have Jesus. Oh, Gentle Shepherd. It Is No Secret (What God Can Do). May The Good Lord Bless And Keep You. Scarlet Ribbons. MC M.C. POTTS - Straight To You CD 1996 BMG AS NEW! LORRIE MORGAN - Greatest Hits / Best Of CD 1995 BNA / BMG AS NEW! Here is a nigh perfect copy of her 1995 issued compilation. Artist: Dolly Parton. Format: CD. Title: I Believe. Lord Hold My Hand. Item Condition: New and unplayed. Yes I See God. Wings of a Dove. Heaven's Just a Prayer Away. 2018 release from the veteran country music band. Shenandoah has also released twenty-nine singles to country radio. Of these singles, five have reached #1 on the Billboard country charts. Title: Reloaded. Artist : Pride, Charley. Title: Legends. Title : Legends. Format: Box set. Format : Box set. Release Date : 2004-09-27. Product Category : Music. Condition : Very Good. Lonestar ~ Greatest Hits. 100% Original Product. You walked in. My front porch looking in. I'm already there. Dolly Parton - the best of dolly parton. Title:Dolly Parton - the best of dolly parton. Artist:Dolly Parton. Your item will be previously owned but still in great condition. The disc will play perfectly without interruption and the case, inlay notes and sleeve may show limited signs of wear. Artist Kenny Chesney. Number of Discs 2. Release Year 2004. Record Label BMG Special Products. John Anderson - Solid Ground. Release Date: 05 Aug 2003. Format: CD. Brand new. She Ain't Your Ordinary Girl. My Love Belongs to You. Heartbreak Express. Album Tracks. Sunday Drive. Charley Pride : Legends CD (2004)Title: Legends Artist: Charley Pride Genre: Country|Country Duration: 138 mins Format: CD / Album Type: CD No. Disc 3 16 Crystal Chandeliers 2.48 mins. Disc 3 15 The Power of Love 3.32 mins. Artist: Alabama. Title: Feels So Right. Feels So Right. Format: CD. Item Condition: New and unplayed. Ride the Train. Burn Georgia Burn. Love in the First Degree. PRAIRIE OYSTER - Only One Moon CD 1994 Arista / BMG AS NEW! Here is a nigh perfect copy of their 1994 release. Format: CD. Artist: Best of Country. Title: Best of Country. He'll Have to Go. Genre: Country. Country Sunshine. Kiss An Angel Good Mornin'. Condition: New. SLIGHT SCRATCHES ON DISC BUT CD STILL PLAYING PERFECTLY. ~ Thom Owens. Artist : Diamond Rio. Night Is Fallin' in My Heart. In a Week or Two. Thom Owens. Norma Jean Riley. Imagine That. It's All in Your Head. MARTINA McBRIDE - The Way That I Am CD 1993 BMG AS NEW! Here is a nigh perfect copy of her 1993 release. 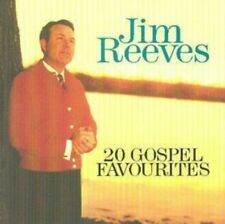 Artist: Jim Reeves. 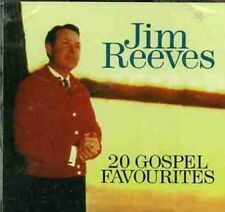 Title: 20 Gospel Favourites. 1-3 An Evening Prayer. Format: CD. Condition: New. 1-18 'Have Thine Own Way,Lord'. 1-17 How Long Has It Been. 1-15 He Will. ORIGINAL RCA / BMG CD is in. VERY GOOD CONDITION - the odd light mark and the CD plays perfectly. ~ Life Is So Good. Artwork and case are ' as new '. ~ What's On Your Mind. ~ Songs Of. ~ Garden Song. Patsy Cline - Have You Ever Been Lonely (Have You Ever Been Blue). Patsy Cline - He'll Have to Go. Patsy Cline - Crazy. Patsy Cline - Sweet Dreams (Of You). Patsy Cline - Four Walls. Patsy Cline - Am I Losing You. Prior to 2006'sMy Life ,Ronnie Milsap had not made an album of new material for a major label in years. If he doesn't make another record, My Life will stand as a worthy coda to his career, but hopefully, this excellent album will be the start of a third act in a career that's been quite remarkable. Restless Heart - Let the Heartache Ride. Restless Heart - (Back to The) Heartbreak Kid. Restless Heart - That Rock Won't Roll. Restless Heart - I'll Still Be Loving You. Restless Heart - Why Does It Have to Be (Wrong or Right). Kenny Rogers - Islands in the Stream 2:46. Kenny Rogers - Ruby, Don't Take Your Love to Town 2:13. Kenny Rogers - Through the Years 2:01. Kenny Rogers - Lucille 3:46. Kenny Rogers - Coward of the County 2:29. This cd by LONESTAR was released on BMG Records in 2000. 7 Reason For The Season. 10 The Christmas Song (Chestnuts Roasting On An Open Fire). 6 O Holy Night. £2.50 FOR THE FIRST CD. £3.20 FOR THE FIRST CD. UK P@P £1.50. Other CDs listed at present. Dolly Parton : Artist Collection CD (2004)Title: Artist Collection Artist: Dolly Parton Genre: Country|Country Duration: 67.10 mins Format: CD / Album Type: CD No. Instead, she aims straight toward the heart of adult pop (slightly ironic, given the album's title and its 17 magazine-styled artwork), which really isn't too far off from where she was with on her first record. Digipaks will of course affect the balance a little. A brief note Such is NOT the case.